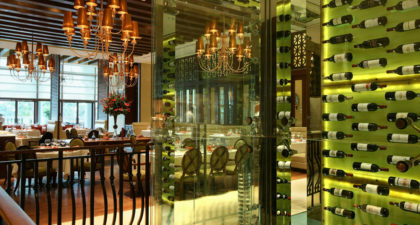 Located in The Venetian in Cotai, Portofino serves up Italian classics in a stylish and contemporary environment. Named one of Hong Kong Tatler Magazine’s “Best Restaurants” (2016), this traditional trattoria offers a cosy environment for friends and family to share hearty portions of pasta and pizza. Indulge in the delicious Parma Ham Prosciutto Pizza (180 MOP, $23 USD), or share the Pallazzo del Doge (Seafood Tower) among two to three friends (590 MOP, $74 USD). 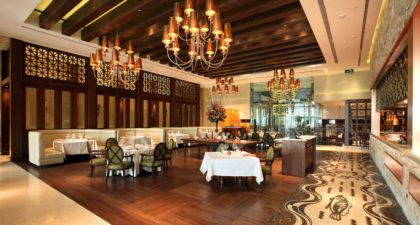 For guests with heartier appetites for Italian, the all-you-can-eat lunch promotion packages could be a draw (Monday to Saturdays, 148 MOP, USD $19; Sundays, 298 MOP, USD $37).